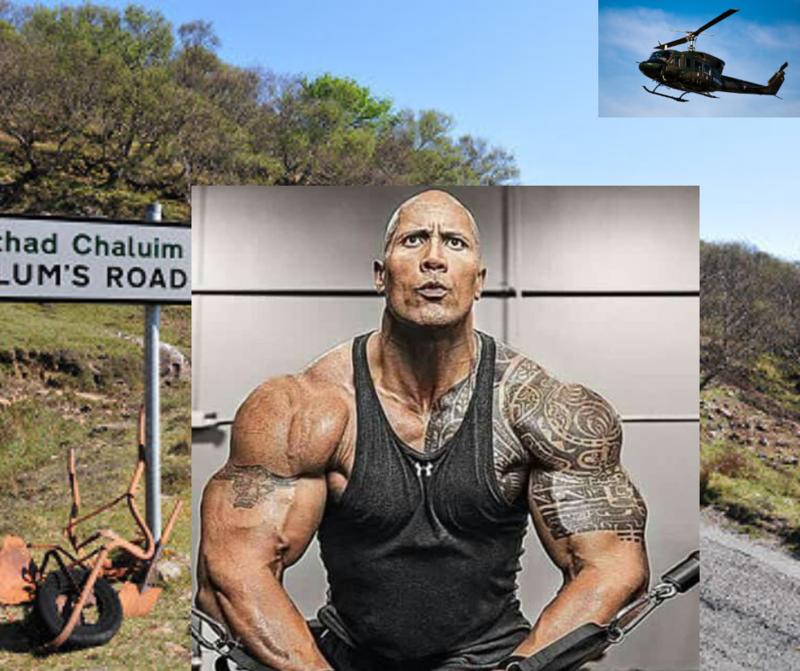 Hollywood megastar Dwayne ” the Rock” Johnson has been cast to play Calum in the upcoming Raasay blockbuster – Calum’s Road. “The film will be a high speed thriller about our hero Calum – played by the Rock – desperately trying to save his family…the hassle of a two mile walk ” said one glitzy L.A producer. Filming is due to begin next Wednesday once the Rock has finished the morning jobs on his new croft at Sconser.